One of my favorite sweet treats is banana bread. And it's one of those treats that you can kind of, almost justify that has a little bit of health factor to it. No? Okay. We almost always have the ingredients to make banana bread, which is why it is my go-to whenever I want or need to bake something. It's also a great way to use up those spotty bananas before they go mushy. 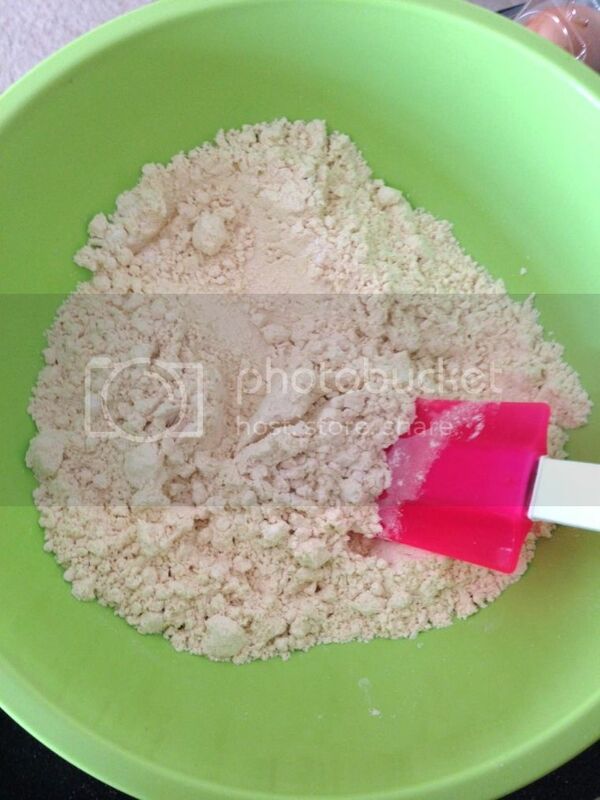 Mix together the flour, baking powder, baking soda and salt. Make sure to pre-heat the oven to 350°F. (I always forget to pre-heat!) I chose to use gluten free flour for my bread since I am trying to cut out gluten, but you can also use regular all purpose flour and the baking time and measurements will be the same. In a separate (larger) bowl, cream together the butter and sugar. Then add in the eggs, vanilla and buttermilk. Make sure to get this nice and fluffy. 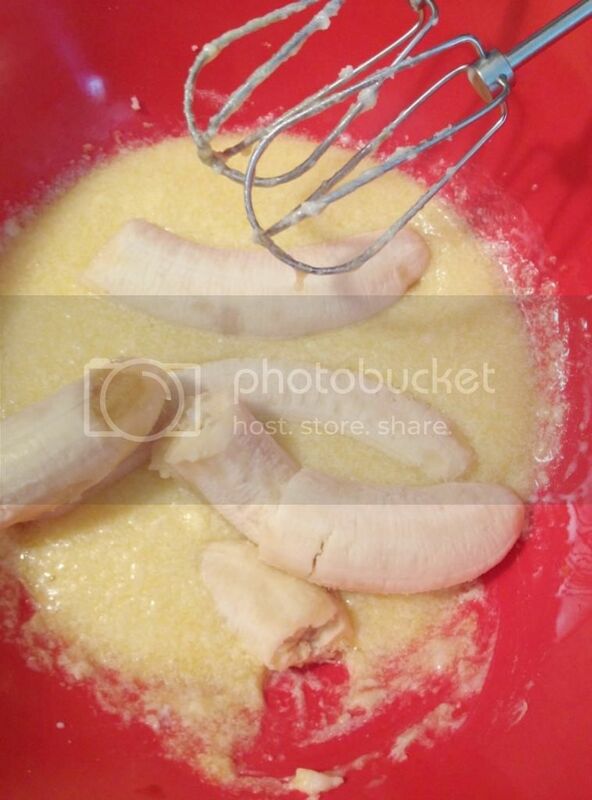 Once this is mixed, you'll add the bananas and lemon zest. you want to be sure that the bananas are thoroughly broken up. I find that the little bit of lemon zest helps the buttermilk give the bread a little bit of bite. It's very subtle and I think it tastes very fresh. Fill a bread pan half full of batter. 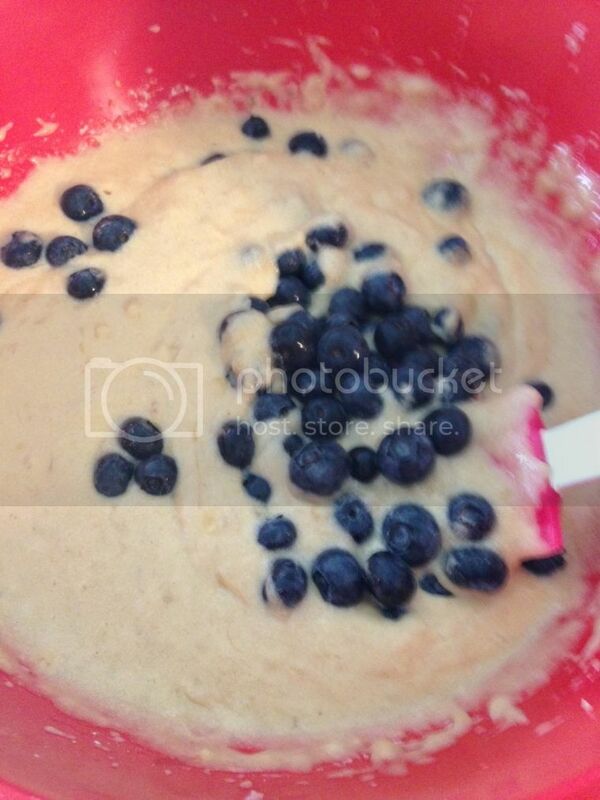 I added some berries to the top of the pan so that they would show on top better. Bake at 350° for 34-36 minutes. If you have a chance, go check out my new Lavender's Blue Facebook page! Enjoy! YUM! 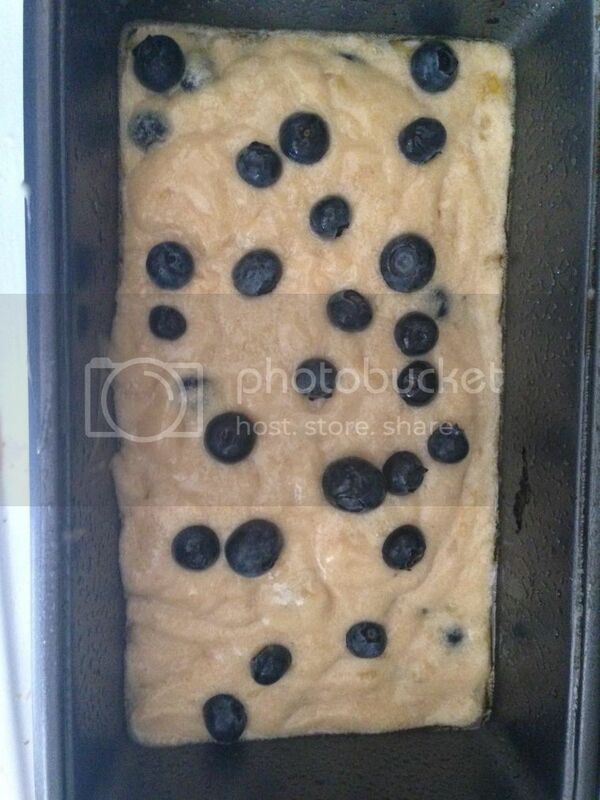 I love making banana bread, but never thought to add blueberries. This is on my to-do list now - thanks! Thanks for visiting! Blueberries and banana, as well as blueberries and lemon are some of my favorite summer flavor combinations. 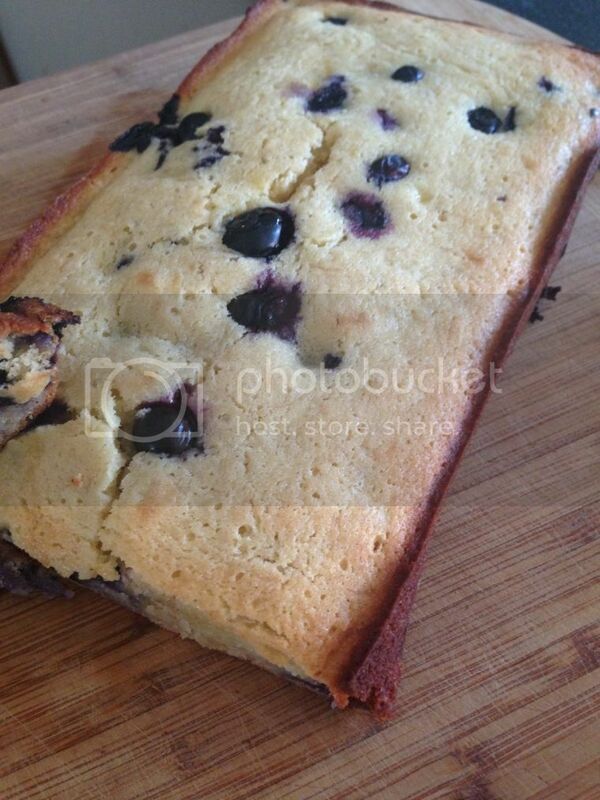 That looks wonderful.. and I never would have guessed it was gluten free! Thank you! The all purpose gluten free flour worked just as well as regular flour, and didn't taste any different! 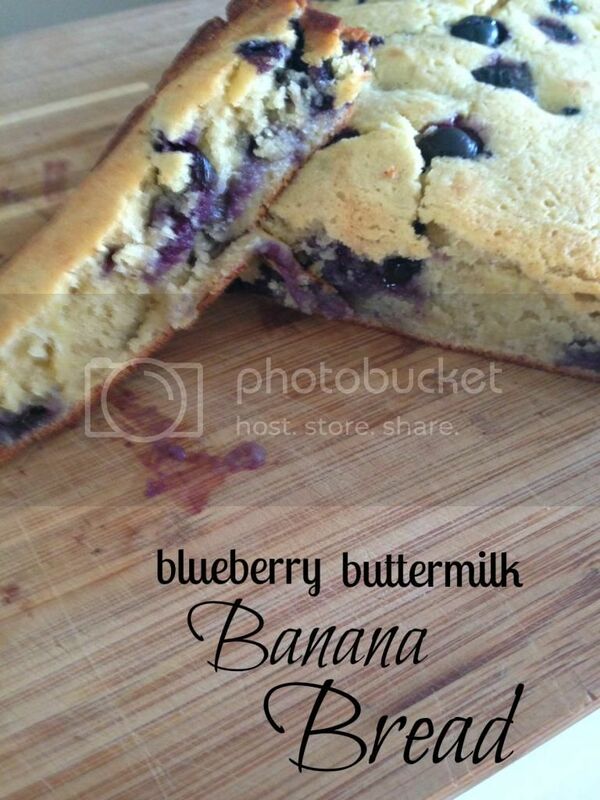 The buttermilk gives it a nice little bit of tang that is very delicious with the sweet blueberries and bananas. Blueberries and Bananas go SO well together! You should definitely try it.